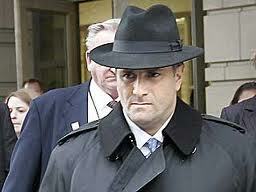 A decade ago, Jack Abramoff was one of the Washington's richest and most-successful lobbyists. Representing Indian tribes, telecom companies, sovereign governments, and dozens of other clients, he played the lobbying game extremely aggressively--so aggressively that he eventually caught the attention of the press and federal investigators. At first, Abramoff says, he thought he was being unfairly singled out and that the scandal would quickly blow over. Then he began reviewing some of the ~850,000 emails he had written during his lobbying career and realized that, at times, even in a city and profession in which "legal bribery" is business as usual, he had crossed the line. In early 2006, Abramoff pleaded guilty to three felonies, including conspiracy to bribe public officials, and was sentenced to 6 years in jail. He served three and a half years at a minimum security prison in Cumberland, Maryland, as inmate number 27593-112. He was then released to a Baltimore halfway house in 2010, where he worked at a pizza parlor for about $10 an hour. Since then, Abramoff has published a book--CAPITOL PUNISHMENT: The Hard Truth About Washington Corruption From America's Most Notorious Lobbyist --and started giving speeches. He still owes $44 million in "restitution," so a big chunk of any money he makes will go to the government. Many Americans view those convicted of crimes as "criminals" who are fundamentally different than everyone else. And although the label is technically true--they have, after all, committed crimes--it often draws a much sharper line between criminals and "good people" than is frequently the case. "Criminals," in many cases, are good people who have committed crimes. And Jack Abramoff seems an excellent example of that. In this interview, Abramoff talks about what it was like to fall so hard, what jail was like, and how life has been since his release.